Born to Dr. Stan and Ruby Hinkley in Vallejo, CA. Father was born and raised in Hickman, CA, and attended Hughson High School. “Dr. Bruce” moved to Modesto at age 4. He attended public schools beginning at John Muir, then La Loma, Downey High School, and Modesto Junior College. He then transferred to the University of California at Berkeley and received his Doctor of Optometry degree in 1974. He returned to Modesto to practice together with his father. This partnership continued until Dr. Stan’s passing in 1989. Except for a short time in a large multi-doctor practice Dr. Bruce has occupied his downtown office at 1019 16th Street for the past 39 years. 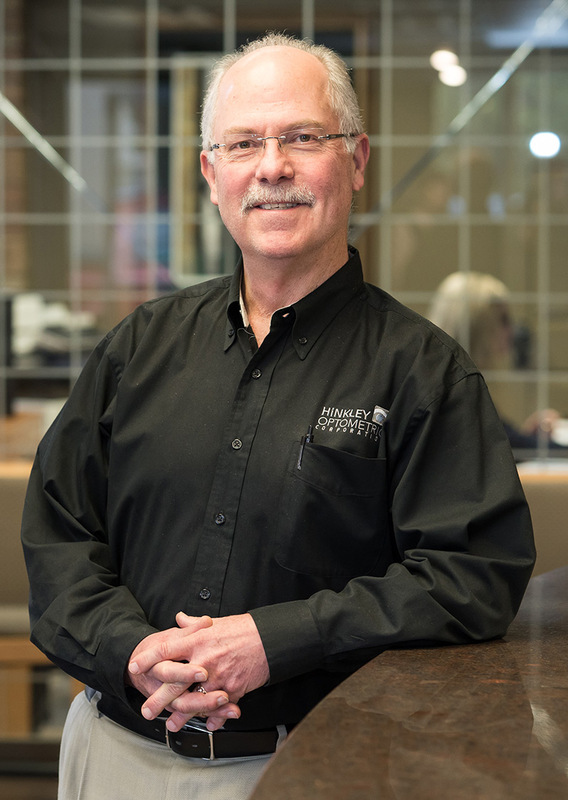 Dr. Hinkley has been active in his professional organizations ranging from the local Optometric society to the state and national associations. He has held various positions at these different levels including board of directors for several years and society president twice. He has been on the committee and has been past chairman of the California Optometric Association’s Pathology Seminar. And he has served as a delegate at the state and national meetings of his profession. Community activities include Modesto Rotary since 1984. Musician (French Horn) and a member of the board of directors of Modesto Band of Stanislaus County – “MO Band” since approximately 1981. “Friends of the Center” (Gallo Center for the Arts). Volunteers time for vision screenings in the Lions Club “Eyemobile”. And is a member of E Clampus Vitus Estanislao Chapter 58 since 1987. Dr. Bruce is married to his wife Diane, has two sons and four grandchildren. Brendan has been a resident of Modesto since 1990. He attended UC Davis where he graduated with a Bachelor of Science degree with a major in Biology and a minor in Psychology. After college he worked full time for one year in a local winery laboratory before going back to graduate school. He went to UC Berkeley School of Optometry and graduated with honors in 2004. He then moved back to Modesto to begin practicing at Family Vision Care Optometry with Dr. Eldon Rosenow. With the merger of Family Vision Care and Hinkley Optometric, Dr. James is centrally located in downtown Modesto to continue to see all his local patients. 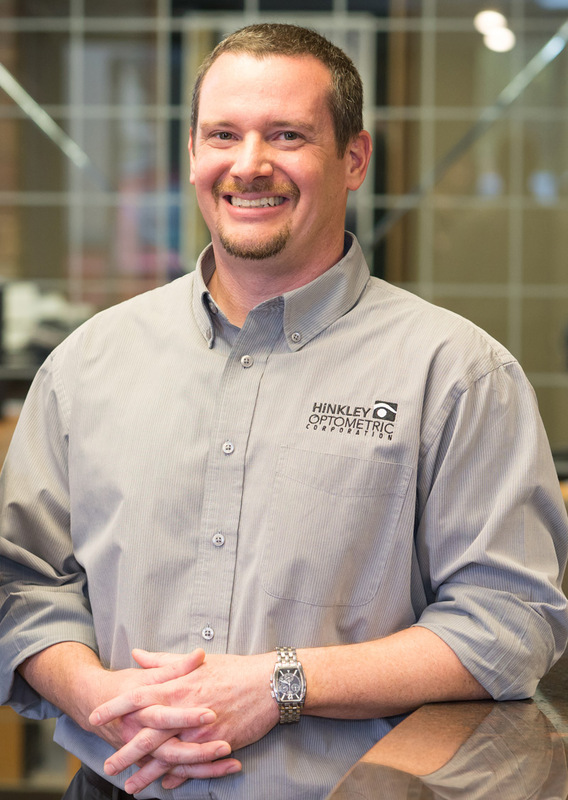 He enjoys the atmosphere of working in a private office and the opportunity that Hinkley Optometric has given him to work with a wide variety of wonderful patients. Brendan was just recently married to his wife Tracy in Maui, HI. Together their family includes an energetic black lab, Gaston and two horses, Will and Nate. In his spare time he enjoys skiing, camping, hiking, running, racquetball, disc golf, and travel.